Are you looking to sell your house quickly and for a for a great price? Many homeowners find it challenging to get their homes out of the market. This may be because you have a lot of competition in your area, have an older property or buyers are having difficulty securing an affordable mortgage. Amy Pritchett, a commercial and residential real estate expert from London Office Space, offers five secrets to selling your home faster. These tips will help you sell your home fast. There is no reason to wait months or even a year to sell your house! Find out what your house is actually worth by having multiple professionals look at your home. Having your house properly valued and knowing what it is worth in the current market will affect the chances of it being sold. With multiple valuations from different appraisers you will be able to gauge the most accurate and reasonable price to place your home. They will take into factors like the state of your property, value of properties nearby and current market conditions. According to UpNest.com, 90% of buyers use the internet for their home search and for this reason a well-staged home with images and video tours will generate more buyer interest. A staged house means arranging your furniture in the best way to showcase your floor plan and make use of the space. This will also speed up the sale of your property. The Real Estate Staging Association found that homes staged before listing sit on the market for an average of 23 days and sell 87% faster than homes staged post listing. This is the area that all home buyers will look at first and it is also a really important area of the house. Many experts will even say that you are not selling a home – you are selling a kitchen. If your kitchen looks dated then you will run the risk of buyers knocking off thousands for your asking price. The quickest way to update your kitchen include fresh paint and new cabinet hardware. Make sure to use neutral paint colors with a blank canvas so buyers can imagine their own style. The more personal things you have in your house, the harder you’re making it for potential buyers to imagine themselves living there. This is why it’s really important to remove most of your personal stuff. You can put it into storage if you need to. This includes any photos, keepsakes or collections. Investing in quick updates is a really great way to sell your home faster. It is also a smarter option than over upgrading where you run the risk of shrinking profit margins. Consider doing things like adding fresh paint to the walls, cleaning or replacing curtains, replacing door handles and fixing leaky faucets. These changes are easy and affordable to make and can drastically increase the look of your home. 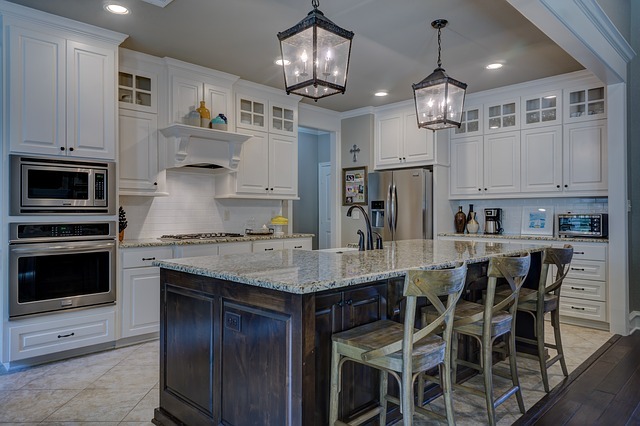 Remember that buyers are looking for square footage, space, great lighting and up-to-date or new fixtures and appliances. If you are looking to sell quickly, then you really should invest some time and money into making your home more appealing to the average buyer in both practical and visual terms.